This week Stormzy bumped into Adele, the stars turned out for the MTV Movie & TV Awards and P Diddy threw ALL the shade. 1. 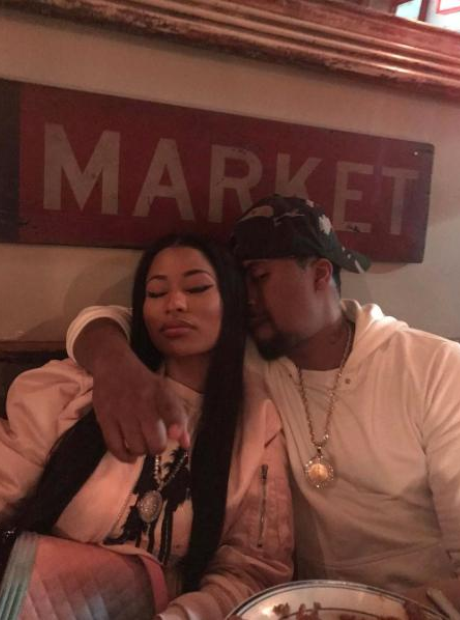 Nicki Minaj and Nas sparked relationship rumours after posting this cosy selfie. 2. Vogue enlisted Frank Ocean as their photographer during the Met Gala. 6. Bow Wow got caught up in drama after allegedly lying about flying on a private jet. 8. North West made her own spa after getting a "time out" from her mother, Kim Kardashian. 9. Migos have released some new 80's-inspired 'Culture' merchandise. 10. The new additions include hoodies, t-shirts and caps. 12. Stormzy linked up with Adele backstage on his final London tour date. 13. Beyonce looked stylish in her latest set of Instagram selfies. 14. DJ Khaled Snapchatted his way across the red carpet at the MTV Movie & TV Awards. 16. 'All Eyez On Me' co-stars Kat Graham and Demetrius Shipp Jr also attended the event. 19. Migos drenched themselves in gold chains and decadent clothing for Flaunt Magazine. 20. Chris Brown took time out of his crazy tour schedule to nap with his daughter Royalty.